Our goal is to provide professional, yet highly personalized quality dental care for your entire family. The health of your teeth is the first thing we care about. We are committed to provide a lifetime of optimal oral health to you and your family and strive to foster patient relationships based on quality patient care, mutual trust and excellent customer service. We take care of your comprehensive dental need, including emergencies. We offer care for preventive dental care, fillings, extractions, gum disease treatments, crowns and bridges, partials and full dentures, root canals and dental implants. Our office is conveniently located in the Kitt Creek Office Park on NC Highway 55, 1 mile south of I-40, exit 278, with easy access to Research Triangle Park, Durham and Cary. Come to see us at the new, state of the art office at Kitt Creek Family Dentistry. The practice accepts all types of commercial dental insurances. Office hours are Monday to Saturday, 8am – 5pm. 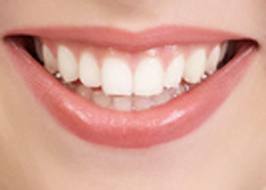 We welcome walk-ins from Monday to Saturday for emergency dental treatments. Emergency treatments after office hours are also available upon request. Call 919-237-2155 today to set up your appointment! We welcome walk-ins from Monday to Saturday for emergency dental treatments. Emergency treatments after office hours are also available upon request. The practice accepts a wide variety of Dental Insurance Coverage Providers. We are in-network provider for most traditional dental insurance plans, such as Aetna, Ameritas, BCBS Dental, Cigna, Connection, Delta Dental, Guardian, Humana, Principal, Metlife, United Concordia and United Healthcare. We file insurance claims as a convenience to you. 1. Cash - including money orders and approved personal checks. CareCredit is here to help you pay for treatments and procedures your insurance doesn’t cover. We offer 6 month interest Free payment options so you can get what you want, when you want it. Come to see us at the new, state of the art office at Kitt Creek Family Dentistry.